I have been feeling quite under the weather this week, so I have been spending my time with Lemsips and tissues. 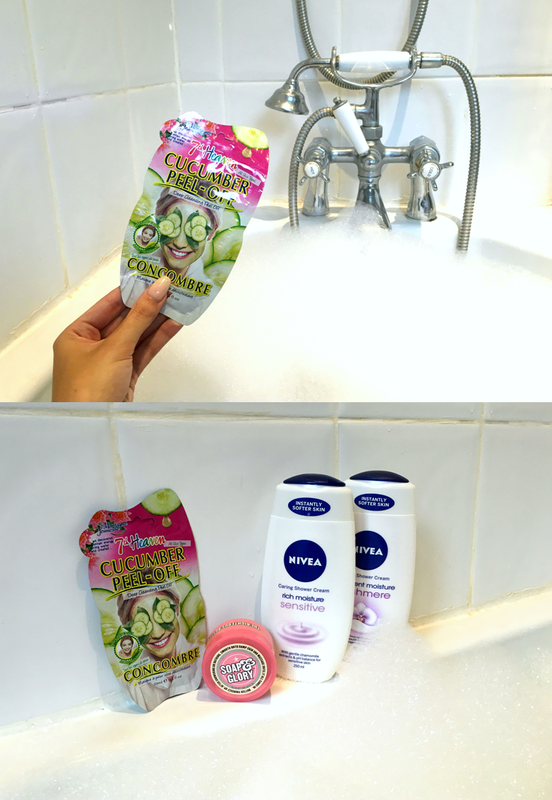 I always feel better after a hot, hot bath so I gathered up my favourite bath products and I thought I would share with you how I unwind when I am feeling poorly. To start with I fill up my bath with lots of bubble bath and I usually bring a few magazines to read while I wait. After putting my hair back, I will make sure all my make-up is removed and I usually start with a toner to prep my skin. Once I am in the bath I usually put on a relaxing face mask, today I used the Montagne Jeunesse Cucumber Peel Off face masque and it was so easy to use. I left the masque on for 25 minutes and I then carefully peeled it off.